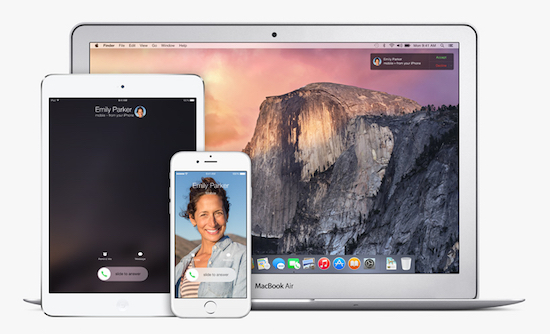 Today Apple released the latest update to its flagship Mac operating system, OS X. This new update brings the software to version 10.6.7 and, of course, offers several “general operating system fixes” and enhancements to the core OS as well as other items. As you can see from the image above, this update addresses issues associated with Apple’s “Back to My Mac” feature, which I’ve used quite frequently. It does have its quirks, to be sure, so hopefully those will be resolved with this update. Really, if they just fix the services ability to get through most routers without having to jump through too many hoops, I would be happy. Other items addressed with this update include a fix to SMB file transfers and some minor App Store bugs. As this is an update to the core operating system of your Mac, it will require a reboot once it is downloaded and installed. Also, its always a good idea to perform a full backup or make sure you backup is good before updating your Mac. But really, there’s no hurry to update at all unless you feel you would explicitly benefit from the fixes listed here. Why not let others do it first and see if there are any problems? However, if you do update let us know how it goes and if you have any problems. Hit us up in the comments. The update works with iPhone 3G, 3GS, and 4. Like with all updates for these types of devices, to install simply sync your iPhone to iTunes and click the Update button. To install, simply sync your iPhone to iTunes and click the Update button. It’s kinda funny how Apple is passing this off as a simple mathematics error. If so, why have a press conference at all? Unless it’s to reaffirm the problem is simple software and then point on the fix they just issued? Only Steve Jobs knows for sure and he’s not saying — at least until a bit later today. If you do update, let us know if you have any problems. Late yesterday, Apple released an update to its flagship operating system OS X 10.6, also known as Snow Leopard. We’ve been expecting Mac OS X 10.6.2 to ship soon since developers have had it for some time. Well, it has finally arrived. For detailed information on this update, head over to Apple’s website. To download, go here for the Combo Update and here for the non-combo. Late yesterday Apple released an update for the software on its flagship iPhone products. This update, dubbed OS 3.1.2, contains several fixes and enhancements to prevent things such as wake from sleep issues, cellular network problems and video streaming crashes. All in all, its probably a good idea to fire up iTunes, connect your iPhone and do the update. This update is available for the original iPhone, iPhone 3G and iPhone 3GS, and the iPod touch. In addition to this update, there’s also a carrier settings update, which doesn’t seem to do anything special. There’s also an update to the iPhone SDK on the iPhone Dev Center, for all you iPhone developers out there. After only a short time of release in the wild, Apple has today issued an update to its brand new version of OS X — code named Snow Leopard. This update, which should now be live in Software Update and at Apple’s website, provides several bug fixes and security enhancements which in typical Apple-speak could mean almost anything. • Printer compatibility fixes for printers that do not properly appear in the “Add Printer” browser. Apparently, the Flash update is of particular importance because the version shipping with Snow Leopard has a number of security vulnerabilities fixed by this update. For the scoop on that, head on over to Adobe’s website. As with any OS update, we suggest you download and install the Combo Update instead of doing an update via Apple’s software update. Sadly, as of now, the Combo update doesn’t seem to be live at Apple’s download page yet so you may consider waiting until tomorrow to do the update.